A day of events is marking 70 years since Cardiff's Bute Park opened to the public. "What's behind the wall" sees the Bute Park Nurseries, previously hidden behind a tall red-brick wall, open to the public on Saturday. A new sculpture is also being unveiled. There are talks from the gardeners and its resident beekeeper about the return of beehives to the park, as well as activities for children. Visitors heard about Andrew Pettigrew, who was head gardener to the third Marquess of Bute between 1873 and 1903 and responsible for the remodelling of Cardiff Castle. There are no records or plans of his work, but he created expansive lawns, carefully grouped trees and shrub borders to enhance the look of the castle. In 1947, the castle and grounds were gifted to Cardiff Corporation, and it also bought more land to create Bute Park and it was developed throughout the second half of the century by then director of parks, Bill Nelmes. 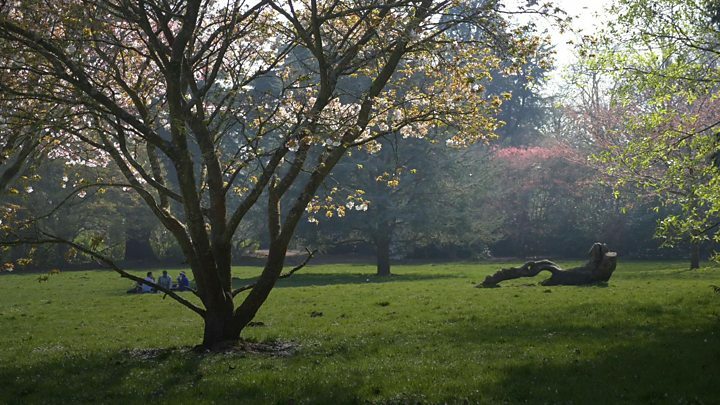 Councillor Peter Bradbury said: "Cardiff wouldn't be Cardiff without Bute Park - it's been the green heart of the city for 70 years now and that deserves a celebration. "The team at Bute Park have a wealth of experience - this is a great chance to learn from them, discover more about the park and find out all about the fantastic work going on behind the walls." The 2.8km (1.7 miles) park now contains more than 2,500 trees.